This delightful and engaging children’s story, wonderfully illustrated with original watercolors, is a bilingual book with text both in Portuguese and English. It’s a simple story told from the perspective of the baby, talking about how happy it makes her when her mommy tells her how pretty, strong and smart she is. Intended for ages 0-3, it’s a perfect book to begin teaching children Portuguese. It’s also perfect for non-Portuguese-speaking parents to learn Portuguese right along with their child! 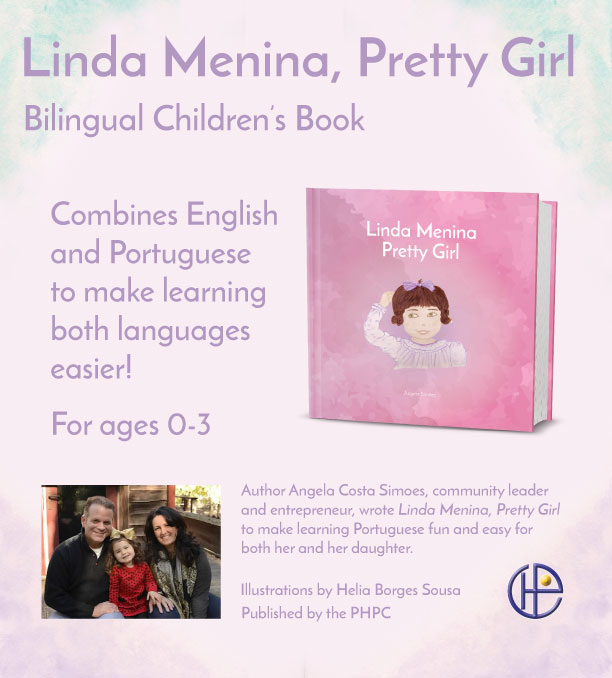 The book, in English and Portuguese, is appropriate for children ages 0 to 3, both as a read-to, and as an early primer for both English and Portuguese. 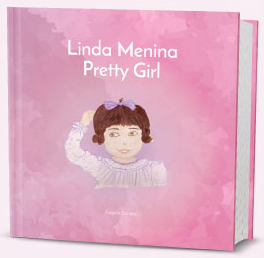 Pretty Girl – Linda Menina is the ideal gift for your children, grandchildren and other young members of your family. The author is a native Northern Californian and was raised in Sacramento. She can be reached for occasional book signings and speaking engagements. This publication has been made possible by a generous grant from FLAD, the Fundunção Luso-Americana para o Desenvolvimento.